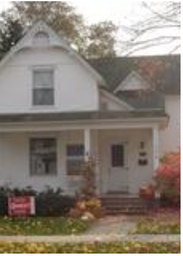 Fresh pumpkins adorning historic homes lead to recognitions for curb appeal. 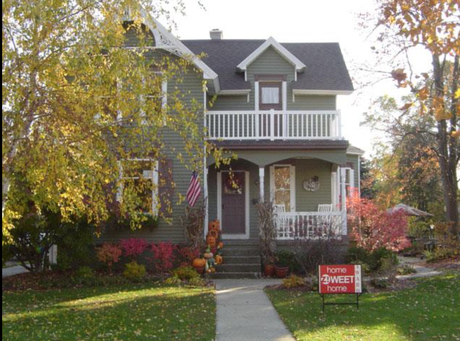 At least, that was the case for the three 19th-century houses on East Central Avenue in Zeeland that won Zeeland's Home Zweet Home Awards for November. The monthly award program - designed to recognize city homeowners who improve the image and value of their neighborhoods through improvements, landscaping and good maintenance - was given a seasonal twist to recognize "beautiful and fresh fall decorations," said City Marketing Director Abby deRoo. “We had a ton of pumpkins and corn stalks and the whole steps lined with that,” said Michelle Karsten, owner with her husband Kevin of the house at 246 E. Central Ave.
“Often, my golden retrievers would sit on the front steps and people would come by and take a picture like it was the cover of ‘Good Housekeeping,’” she said. The 1890-vintage house was built for Zeeland’s original pharmacist, Dickie Van Bree, by his father Francois, a carpenter who emigrated to the city from the Netherlands in 1847. The druggist was reputed to work what was considered long hours, running his store at the corner of Elm Street and Main Avenue until 9 p.m.
Suzanne and Doug Barense of 134 E. Central Ave. also credit their award to a plethora of plump pumpkins, including one about 3 feet in circumference that they named Frank. The conglomeration of pumpkins and gourds that adorn the Barense house each year come from Suzanne’s uncle Merle Immink’s farm in Burnips, she said. The 1898 home was built on the site of a former hotel. A former owner of the house, Alice DuPree, is remembered by some longtime Zeeland residents as their former piano teacher, Suzanne said. Annica and Phil Waalkes of 122 E. Central Ave. put up an antique chicken cage in their yard and transformed pumpkins into chickens in remembrance of a former chicken hatchery in the back yard. “We had two roosters, two hens and six chicks,” Annica said. The house was built in 1898 by Ed Van Loepic, co-owner of a downtown Zeeland clothing store called Ed and Ted’s, she added. “The awards this month were all given in a specific neighborhood to show how a single block can have such significant impact on the entire city,” deRoo said. The award nominating committee consists of deRoo, City Assessor Art Grimes and Meghann Gorby of the assessing department. 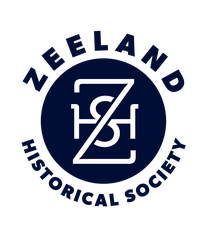 All three houses are listed as historic homes by the Zeeland Historical Society. Kevin Karsten owns and operates Karsten Masonry LLC of Zeeland. Michelle, a Canadian native, received U.S. citizenship last July. Doug Barense works for a software company in downtown Zeeland. Suzanne, a stay-at-home mom, does freelance design work. Phil and Annica Waalkes are doctors with Zeeland Physicians, a family practice attached to Zeeland Community Hospital.